Montana Fish, Wildlife & Parks is investigating two illegally killed animals west of Whitefish and is seeking information from the public. 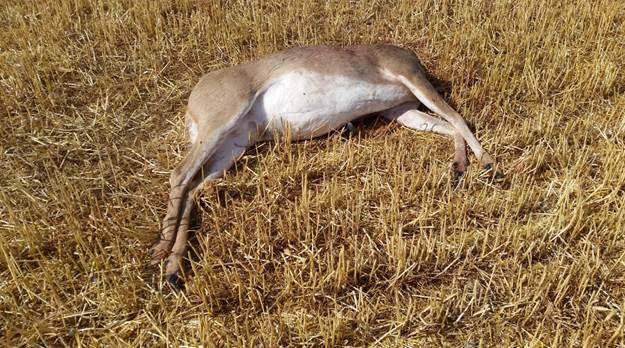 On Sept. 19, game wardens responded to a report of a white-tailed buck that had been shot and killed in a field near the intersection of Twin Bridges Road and Lodgepole Road near the Stillwater River. The head of the deer was removed but the carcass was left to waste. On Sept. 1, game wardens responded to a report of a bull elk that had been shot and killed on the north end of Farm to Market Road near the intersection of Star Meadows Road in the same vicinity. Some portions of the elk were taken while others were left to waste. It’s unknown at this time if the incidents are related. “Game wardens have solved several large-scale poaching cases in this same general area in the past as a result of help from the public. We hope to achieve the same result here,” said Lee Anderson, FWP Region 1 Warden Captain. Anyone with possible information is encouraged to call 1-800-TIP-MONT. Callers can remain anonymous. If the information a caller provides leads to an arrest, they could be eligible for a cash reward up to $1,000.